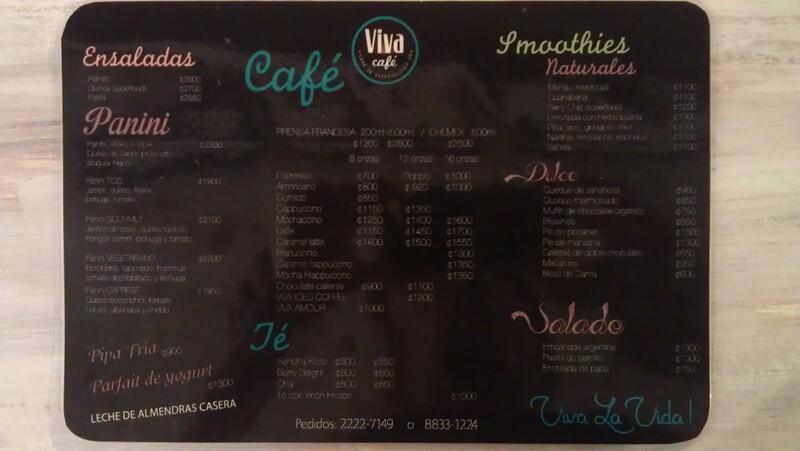 Viva café is a brand new café in barrio La California in San José and it will blow your mind in many ways. It is a tiny cosy café, very nicely designed, where you will want to hang out for hours. The sweet Leda runs the place and makes you feel welcome straight away, together with talented barista Adrian. Leda’s family has been working with coffee for a long time. If she has decided to open her own coffee shop today, it is to keep on with the family tradition, but also to have a direct contact with the customers. 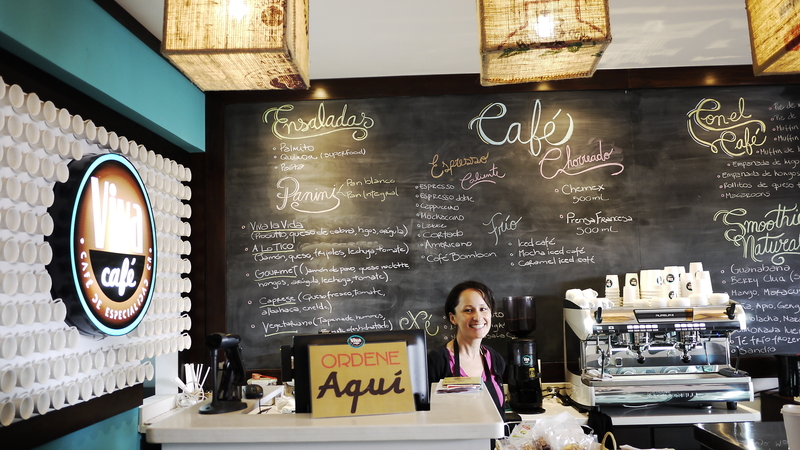 The idea is to offer the people of San José a different feel for coffee in a different café. And it works. Adrian wanted to be a barista in Viva café to share with people his excitement for new brewing methods (here brewing a chemex) and serve customers the best coffees available in the country. Choosing the coffee to offer to customers is not an easy task and is a team work. First, Leda tastes many different coffees to select the few ones she loves. Then, she works tightly with her father, who also is the roaster, to find the appropriate roast profiles for each coffee. Once she has made up her mind, she is free to go directly to the farms with her dad and her barista Adrian to visit the cafetales (coffee plantations) and the micro beneficios (micromills). A journey from the seed to the cup, the dream of any roaster/barista. In her café, Leda wants to emphasise on educating customers about the different ways of processing coffee and give them the chance to taste different types of washed, honey-processed and natural coffees. If you have no idea what I’m talking about, go ask her! A delicious honey-processed coffee from Finca La Plaza, Tarazzu, 1900m, processed at the Santa Rosa 1900 micromill. Your hungry stomach will be happy to have lunch or dessert, but what I very warmly recommend is the coffee. I have not been to any other café where the coffee tastes so great, and that is why this is already a popular café. Leda chooses the coffee she wants to serve in her café, it is then roasted with skills by her dad. You can enjoy it as any espresso-based drinks or brewed with a French Press or a chemex. What more would you want? Adresse: Barrio la California, 24-2300, San José, Costa Rica.